Microsoft is updating a number of its IT infrastructure and development tools to work more seamlessly with its Azure hosted cloud services, including Windows Server, System Center, Visual Studio and SQL Server. “You can think of all these products as being Azure-powered. We’re bringing the experience, code and design from Azure to our on-premise products,” said Brad Anderson, who is Microsoft’s corporate vice president of Windows Server and System Center. At the Microsoft TechEd conference this week in New Orleans, Anderson will announce the pending releases of Windows Server 2012 R2, System Center 2012 R2, Visual Studio 2013 and SQL Server 2014, as well as an update of Microsoft’s Intune computer management service. Each of these products will be available in preview form later this month, and all will be available as commercial releases by the end of the year, except for SQL Server 2014, which will be released early in 2014. Brad Anderson, Microsoft's corporate vice president of Windows Server and Systems Center. All these releases share a familiar theme: They all work with Azure, or Azure-like cloud services from Microsoft partners, streamlining the process for organizations to shift their workloads between their own data centers and cloud services. Using these latest releases, organizations can back up their in-house Windows Server applications or SQL Server databases in Azure. Or they could use Azure for failover operations, where the cloud service could take over operations should the primary data-center servers fail for some reason, Anderson said in an interview before the conference opened. The Windows Server 2012 R2 update will provide capabilities to copy applications and data on the server to Microsoft Azure, or to other service providers’ Azure implementations. The OS will also facilitate a way to replicate Hyper-V virtual machines on Azure. Also helping with cloud deployments is Windows Server 2012 R2’s new capabilities in storage tiering, which allows administrators to establish different levels of storage. This feature could be handy in using storage more cost-effectively, by providing an easy way to store the most essential data on the fastest storage devices, while squirrelling away the less consulted data on less expensive disks. 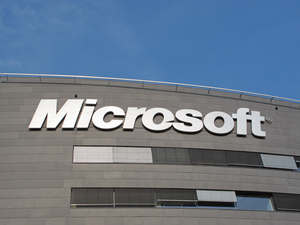 Microsoft is also updating its System Center IT management software for Azure use. The new version will allow organizations to establish policies for running Windows Server and Hyper-V virtual machines both in the cloud and on premises. Organizations can use the software to set their policies for backing up and conducting failover operations on large numbers of servers. The new version of the software will be the first to offer management support for Android and Apple iOS devices, Anderson said. Administrators can manage the settings for features such as VPNs (virtual private networks), logins, wireless settings and other functionality required by the enterprise. Along with Windows Server 2012 R2, SQL Server 2014 will also have hooks into Azure, Anderson said. SQL Server databases can be backed up to Azure. This new version of the database will be the first to offer in-memory capabilities, developed under the code-name Hekaton. On the development side, Azure offers some new features for the upcoming Visual Studio 2013 release. For instance, Visual Studio will offer the ability to load test a new application on Azure. “As you are building your application, you can place a heavy load on it, by using Azure,” Anderson said. In addition to the software updates, the company will also announce new services and features in its Windows Azure hosted computing offering. It will offer a preview of Windows Azure BizTalk Services, an online version of Microsoft BizTalk enterprise service bus (ESB). The company has also unveiled new per-minute billing for virtual machines. The purpose of Microsoft’s TechEd is to educate administrators and IT professionals about Microsoft’s back office and enterprise software products. During his keynote on Monday, Anderson plans to reveal some adoption statistics for Microsoft’s enterprise products. The SQL Server user base is growing 1.7 times as fast as Oracle’s flagship database. By Microsoft’s calculations, SQL Server is the most widely used database in the world, possessing a 47 percent share of all SQL databases. And System Center sales have been growing as well—sales were up 35 percent in the last quarter, Anderson said.